October is National Bully Prevention month. As you know, bullying is something I write about often. It is such a sad thing for anyone to experience. I experienced bullying growing up. Noah and I talk about bullying a lot. He has been on the receiving end of it. Noah is such a sweet kid. He has learned at a very young age that we treat people the way you want to be treated. He also knows that if someone treats you badly, that doesn't give you the right to treat them badly in return. We talk a lot about empathy. I ask him how it would make you feel if you were them. His answer is usually something along the lines of bad or sad. I really don't understand why people have to be so mean to others. It's more energy to be mean, than to just be nice to someone. Bullying can affect more than just the person who is being bullied. It can affect others too. If you or your child witnesses bullying, it's important to say that it's not OK. Stand up for others. It might seem like it won't do any good but it may help the bully realize that it's not something you will stand for. Encourage your child to be brave and strong and be their voice. Stand by their friends and never join in to the bullying. Just because others are doing it, it's not nice. You should never have to be mean to someone to fit in. You don't want friends that are mean to others because they might be mean to you later. You could explain what bullying is. It's usually not what is seen in kids shows. It's usually not physical. Remember that bullying can be verbal or emotional too. Have you ever seen anyone bully someone else? How did it make you feel? What would you say to Oliver? What would you say to the other ornaments? 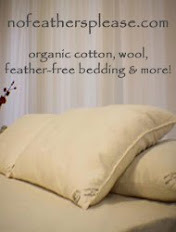 Talk about differences and how it's totally fine to be different. Give tips on what to do if you feel like you are being bullied. Remind them that they are special and unique. Tell them they can always come to you with any problems and issues. 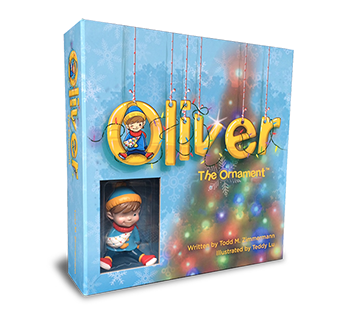 I will be sharing more information in November about Oliver the Ornament and how it will become a new Christmas tradition for your family. Check out Oliver the Ornament.